The best USA sportsbooks favor the Minnesota Vikings to win the NFC North division. Which is rather weird. Considering that one Aaron Rodgers is returning to the Green Bay Packers starting lineup. 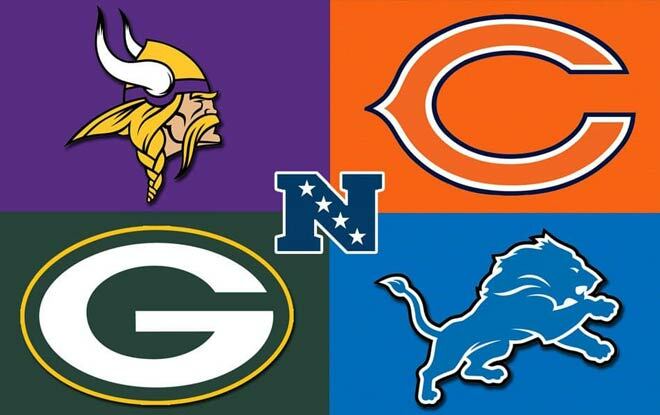 It’s true that the Vikes have won the most NFC North titles. Including the most recent one and two of the last three. But the Packers won four straight between 2011 and 2014, and five of the last seven. On the other hand, the Bears have not won a divisional championship since 2010. And the Lions haven’t won one this century. Their last division title came in 1993, when the division was still known as the NFC Central. It’s safe to say that winning the division is not enough for the Vikings. Minnesota evicted all three of their 2017 QB room’s tenants; Case Keenum, Sam Bradford, and Teddy Bridgewater. Moreover, they not only brought in a new QB but also a new quarterbacks coach. Kirk Cousins signed the first fully guaranteed, and at the time, the highest paying contract in league history. Thus he became a Viking. And, unlike Ralphie Wiggum, he didn’t even have to go to sleep. Apparently, though, the Vikes didn’t just a Cousins. They wanted an ersatz Wentz. A Wentzatz? So they hired former Eagles QBs coach John DeFilippo. Coach Flip, as he is known, mentored Philly’s Carson Wentz into the signal-caller he is now. Minnesota’s defensive prowess goes without saying. But now Cousins joins a stacked offense. Including wide receivers Stefon Diggs and Adam Thielen, tight end Kyle Rudolph, and running backs Latavius Murray and Dalvin Cook. The Vikings’ only apparent weakness is their offensive line. Rodgers returned to find his favorite target gone. The Packers gave wide receiver Jordy Nelson the boot after 10 years with the team. Rodgers didn’t appreciate this at all. So Green Bay tried to appease him by signing tight end Jimmy Graham. Graham set new franchise records for receptions and TDs at both the Saints and the Seahawks. Additionally, he is second all-time for most receiving yards and receiving touchdowns by a tight end in a single season. Jordy who? Defensively, the Packs hired new coordinator Mike Pettine. They also signed defensive end Muhammad Wilkerson. And drafted cornerbacks Jaire Alexander and Josh Jackson. All of which makes a case that the best USA sportsbooks might be selling the Packers short. Not unlike the Vikings, Chicago made not one, but several moves aimed at bringing out the best in QB Mitch Trubisky. Such as head coach Matt Nagy and offensive coordinator Mark Helfrich. As well as wide receivers Taylor Gabriel, Allen Robinson, and Anthony Miller. And tight end Trey Burton. On defense, the Bears drafted linebacker Roquan Smith. Smith was the 2017 SEC Defensive Player of the Year and SEC Championship Game MVP. PFF ranked Chicago’s pass rush 30th ahead of the new season. That’s not good news considering they have to contend with Cousins, Rodgers, and Matt Stafford. In other words, it’s time for outside linebacker Leonard Floyd to deliver on the promise of his college days. Winning a divisional title is not the only distant memory for the Lions. So is being a favorite at the best USA sportsbooks. Or finishing in the top half of the NFL in rushing yards. Barry Sanders must be spinning in his grave. Or he would be if he weren’t still alive. In order to address this, Detroit signed running back LeGarrette Blount and drafted running back Kerryon Johnson. They also drafted guard Frank Ragnow to bolster their offensive line. All odds have been taken from GTBets.eu, one of the best online sportsbooks. Swing by and check and their mobile betting platform.